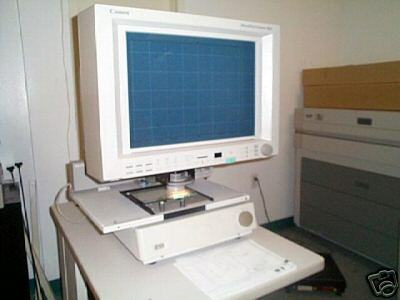 MS 800 Digital Microfilm Scanner/Printer System w/ PC, Monotor, Keyboard, Mouse & Software! (1) Low usage pre-ownded unit available at this price which includes an RF-200 motorized arrier (accepts 16 & 35mm film, fiche and AP cards), 14-32X Zoom Lens, Dell PC with drivers & software. Complete turnkey scanning package ready for production. 90 Day Warranty! **Examples based on typical settings @ 200 dpi. Actual processing speeds may vary based on PC performance and application software.